There are many reasons you may decide to limit or completely cut dairy out of your diet. 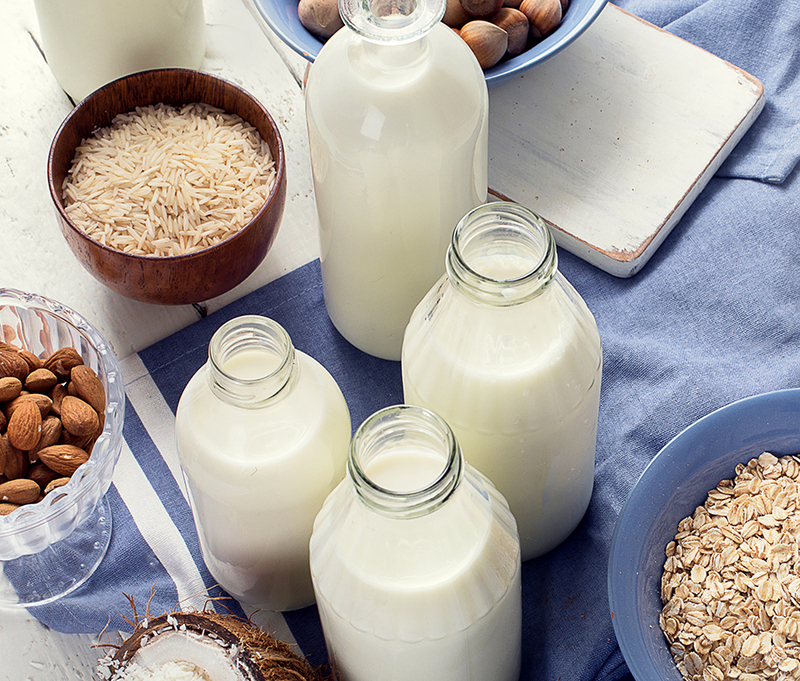 You might be on a mission to reduce inflammation in your body, experiencing a milk allergy, or even deciding to go vegan. Plus, a large percentage of the population is lactose intolerant because of a certain gene expression. As a result, many of us experience adverse reactions from dairy products. Even if dairy didn’t bother you when you were younger, the dairy sensitivity side-effects could creep up with age. Switching from animal to plant-based products when possible is also an ecofriendly choice since livestock, including cows raised for dairy production, are one of the most significant contributors to greenhouse gas emissions. Whatever your reasons may be for avoiding dairy, I have you covered with some non-dairy milk substitute recommendations, a simple 5-Step almond milk recipe, and my top 10 favorite ways to use non-dairy milks! 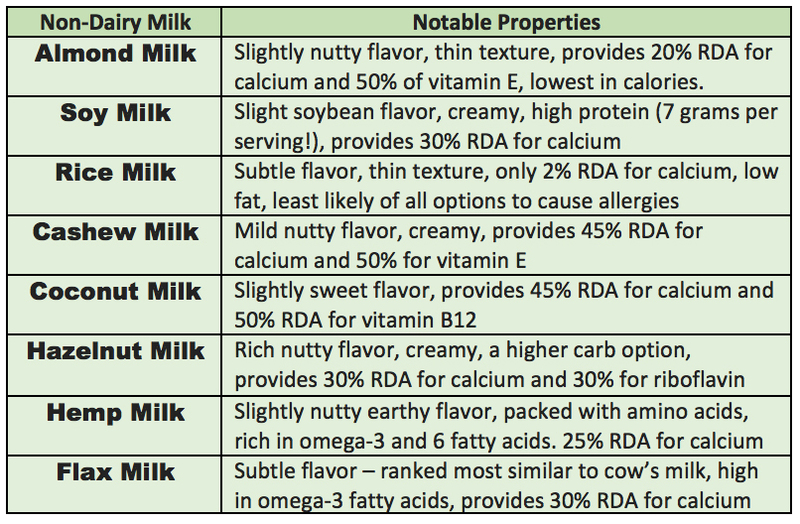 A common retort you may encounter when you ditch dairy is, “how do you get your calcium?” Cow’s milk contains 30% of the RDA for calcium and you’ll see most of the non-dairy alternatives in the chart match that (if store-bought) because they are fortified with calcium, vitamin D, and other nutrients. These dairy alternatives are widely available in grocery stores.